Saturn’s moons and rings were believed to date as far back as the giant planet itself, yet new research suggests its moons could have formed just about 100 million years ago. 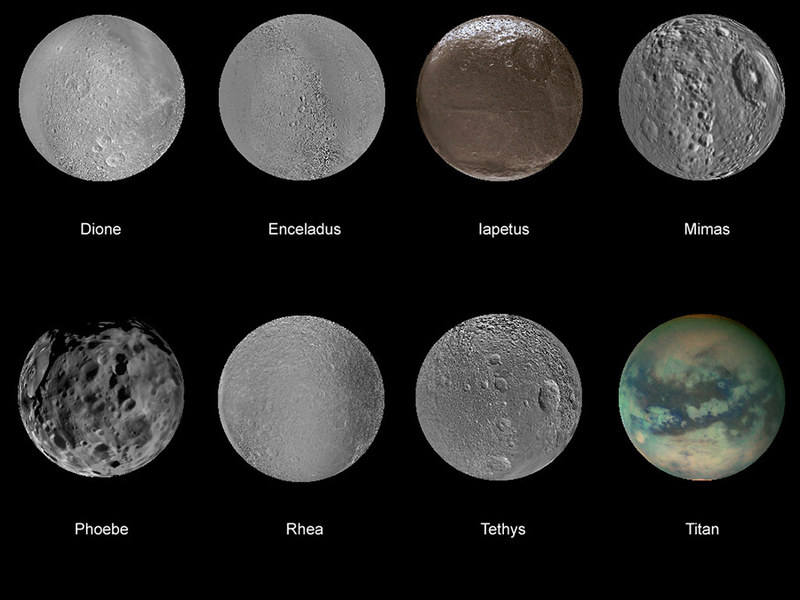 The research stating Saturn’s moons real age was published in the Astrophysical Journal on Monday. Thanks to new computer modeling of Saturn’s system, researchers from the Search for Extra-terrestrial Intelligence Institute (SETI) were able to determine a more accurate age for the moons of the giant ringed planet.The study led by the SETI was based on data from NASA’s Cassini mission, that together with computer modeling gave researchers the ability to better understand when Saturn’s moons were born. Yet researchers could have stumbled upon an alternative cause for some of the moons in Saturn’s orbit to be younger than others. Impressively enough for Saturn, it counts with 62 moons, that it turn, not only are affected by the planet’s gravity, but also by each other’s gravities. However, the research led by the SETI is taking note of the discovery of French astronomers back in 2012, when they found the reason could be the moon’s tidal effects. This theory held that moon’s gravitational response on Saturn’s fluid interior could be the reason for rings to quickly spin around the planet’s orbit. Therefore, this would mean the moons in the inner part of Saturn, as well as its rings formed just a hundred million years ago, instead of four billion. Even though Saturn’s rings were believed to have come with the creation of the planet as well, researchers from the SETI are now backing up the French astronomers with the theory of newly created rings and moons. This study provides astronomers with a different outlook on the ringed planet, that a long time ago could have lacked any rings, as well as it could have fewer moons. Matija Cuk, the principal investigator of the SETI Institute, claims that moons always change their orbits, as a result from the tidal effects; however, some moons were found to remain in the same orbit. Thanks to the data provided by NASA’s Cassini-Huygens spacecraft, that was able to study the giant planet since, over a decade, researchers took a closer look the Saturn’s moons including Dione, Rhea and Tethys. They found these three moons to have stayed within their ordinary orbit, instead of showing a significant orbital tilt, which is commonly seen in older moons. So these findings would put the three moons in the ‘young’ category, dating back no more than 100 million years. The led investigator for the study from the SETI Matija Cuk asks what could have caused the recent birth of Saturn’s inner moons in the statement released lately. 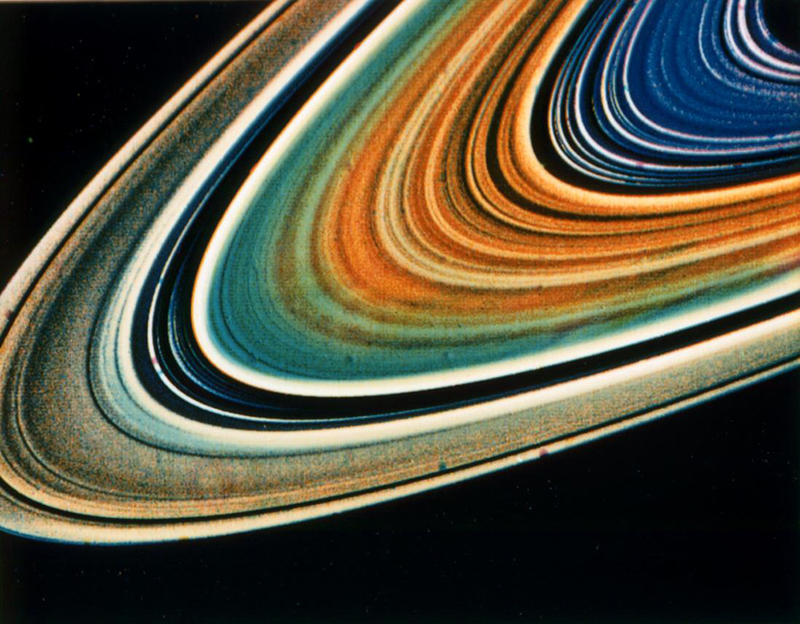 Cuk adds that the nearby moons’ orbits eventually crossed and, therefore, collided, creating the present set of moons and rings formed around Saturn.